The Skyline Loft is best seen in person to give it justice. Located on the sixth floor of a commercial building, the space feature an open floor plans with large windows all around, polished concrete floors, multi zone air conditioners, and high ceilings. 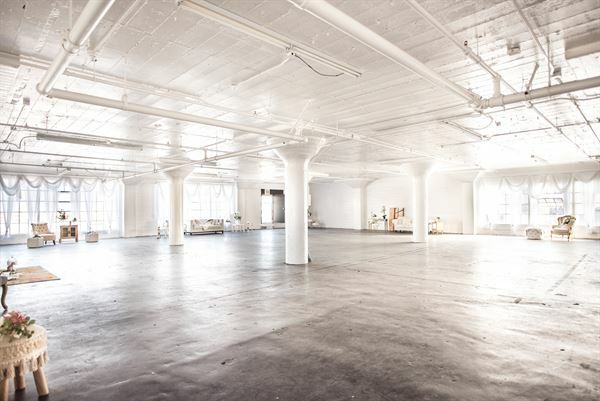 Filled with abundant natural light, the studio is a white canvas to make anything happen. Event rates Monday - Sunday 8am - 10pm, overtime is 1.5x. $250 per hour (up to 100 people) $300 per hour (up to 200 people) $350 per hour (up to 300 people) $400 per hour (up to 400 people) $300 basic cleaning fee $200 projector + screen rental $300 stage rental Discount available for full-time students, 501c3 non-profits, ex-military and veterans. Proof required, discount not valid on Saturdays.